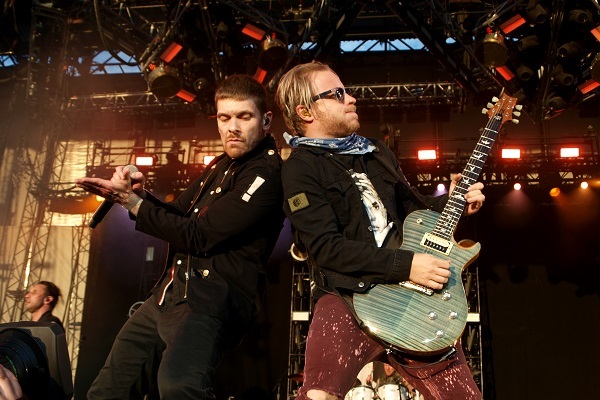 Shinedown, Disturbed and Ozzy Osbourne are among the many bands and artists who will rock the plain this year when they appear at the 2019 Rocklahoma festival, set for May 24 through 26 in Pryor, Oklahoma. Among the other acts booked for the latest edition of the annual hard rock and metal festival are Seether, In This Moment, Bush, Steel Panther, Buckcherry, Beartooth, Sevendust, Fever 333, Lita Ford, Avatar, Black Stone Cherry, Ace Frehley, Dirty Honey, Dead Metal Society, Rocket Science, Beasto Blaco. the Glorious Sons, New Years Day, Bad Wolves, Light the Torch, Strutter and more. The event will be hosted by radio personality Eddie Trunk. “Believe it or not, I’ve been doing shows in Oklahoma since 1971, so I know that they have some of the best audiences in the world there,” Ozzy Osbourne said in a statement. “We are very much looking forward to bringing everyone at this year’s Rocklahoma our 100% A-GAME!!! Get Up and Get Ready,” added Brent Smith of Shinedown. Early bird tickets for the 2019 Rocklahoma festival will go on sale Thursday (Jan. 17) and start at $129 plus charges. Camping packages, VIP packages and special military tickets are also available. For the full lineup and ticket information, visit Rocklahoma.com.